I’ve been a pretty big Marsicans fan for what feels like forever now so you can imagine my excitement when they announced they were heading out on tour again. For me, it’s been incredible to watch these guys attract more fans over the past months and to get their energetic, indie-pop heard far and wide. Arriving at Think Tank super early in time for doors opening, I gave myself enough time for a quick mooch around the merch stand before the opening act Llovers were to grace the stage. I have a love/hate relationship with Think Tank in a way that I can’t really put my finger on. I’ve never had a bad gig there per se and the intimacy of the venue is awesome, I just find that there have been occasions that the audience has been pretty flat to the point that the whole room is actually cold enough to keep your coat on. I needn’t have worried about that tonight though. My hipster Harrington jacket needed to be around my waist from the get-go. First up to open the stage were my favourite Teesside huns Llovers with their hazy, indie melodies that radiate the greatest summery vibes. I’ve been catching these guys live for what feels like ages now and they always deliver a cracking set, never failing to get me swaying and twirling around to their dreamy tracks. Asking the audience “who’s seen us before? !” was met by an extremely loud WOOO from yours truly, displaying what can only be described as my inner teenage fangirl, the outfit launched into their setlist. Breezing through tracks such as the delicate Without You with its soaring harmonies, indie-pop diamond Borderlands and the anthemic Feeling Sound with its glittering riffs and playful synths. A short but very sweet set from the local lads and I’m already so excited to hear what they do next, especially with a new EP hopefully just round the corner. Next to take to the stage were Glaswegian rockers LUCIA who my Popped pals have been urging for me to catch for some time now and they have honestly been worth the wait. 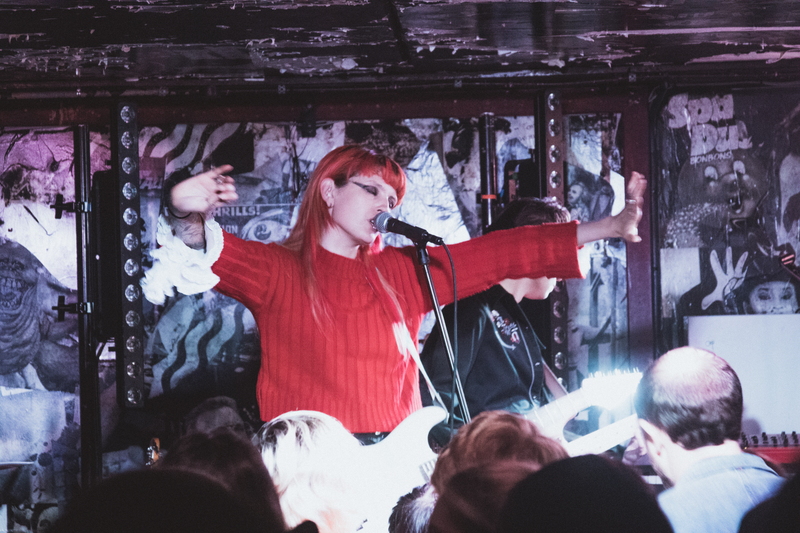 Punkier undertones bleed from each track that the four-piece blares out as frontwoman Lucia Fairfull snarled and strutted around the little area she had. Everything about LUCIA captivated my attention from the very start, from their look to the sharpness of each lyric and precision in each note. Latest single Blueheart was a slightly tamer track which sounded fantastic live whereas Saturday Is Dead provided the high octane chaos to get the audience suitably warmed up. The two highlights of the set for me had to be when Fairfull joined the audience in true showmanship style and the track Summertime, which for me had just the right amount of cheerful Americana-infused pop whilst retaining a lush grittier backdrop. After two cracking support sets, everyone was suitably warmed up for Marsicans by which point I’d pushed myself to be practically standing on the stage with them, my can of Dead Pony Club raised high in the air. Opening on their latest Your Eyes, everyone began to jump about to set the scene for what was going to be an energetic headline slot. Quirky, fun and lively, Your Eyes pretty much sums up everything that Marsicans is about and the softer bridges that explode into crescendos of pure lush guitars are phenomenal. It wasn’t long before the mosh pits had started, yes I will admit I did kick one off, and people were waving their arms to touch the incredibly low ceilings that Think Tank boasts. 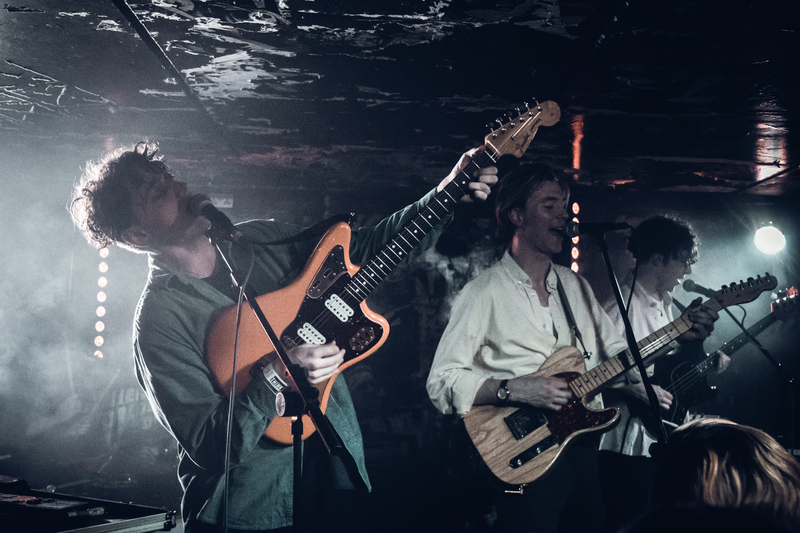 There is an infectious energy to each live performance that Marsicans perform which is impossible to ignore, it’s almost as if they command you to dance and go crazy. Pop-Ups (Sunny at the Weekend) had to be stand out highlight of the whole night for me and as soon as frontman James opened with “I’ve got a secret wanna hear it?” I was preparing myself for the carnage that was about to ensue. Catchy lyrics and a mammoth chorus are the makeup of this track, it’s so easy to get involved and I was screaming the words back as bodies in the audience crashed into me and I continued to edge closer in the little to no room that I had. 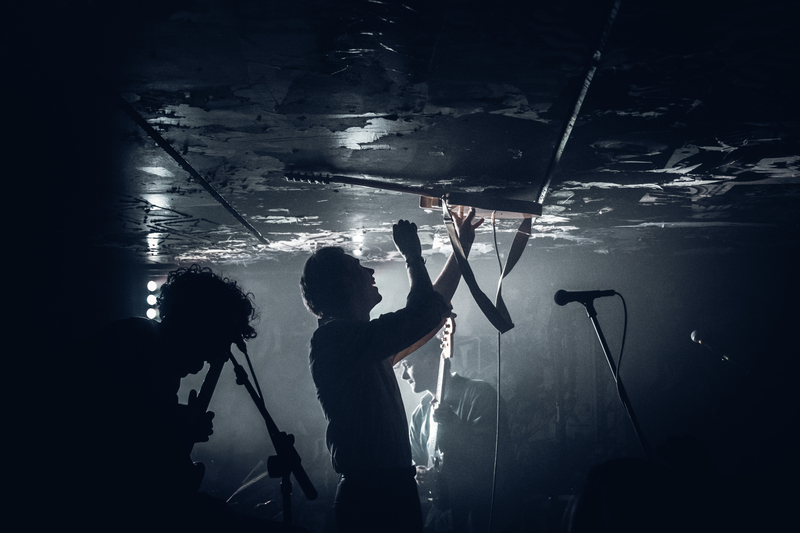 Wake Up Freya was also well received, as it’s a huge fan favourite, bringing the tempo down ever so slightly with its softer soundscape and the stadium-worthy Too Good and Suburbs were two more gems to prompt screams of delight from the audience. Closing on Absence, I was left completely more than satisfied but still longing for more – this was a gig I just didn’t want to end. Hands down one of the better gigs I’ve ever been to, I already can’t wait to see these guys live again. Come back to the Toon soon please!